See more objects with the tag organic, tableware, metalwork, Jugendstil, pewter, Germany, tray. See more objects with the color sienna grey antiquewhite darkslategrey or see all the colors for this object. This is a Tray. 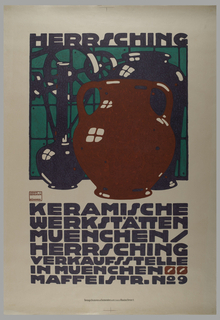 It was designed by Peter Behrens. 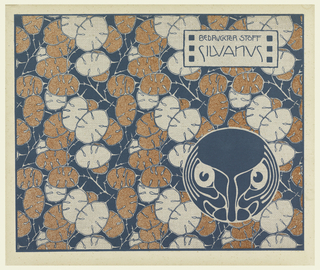 It is dated 1900–1910 and we acquired it in 2013. Its medium is cast pewter and planed walnut. It is a part of the Product Design and Decorative Arts department. 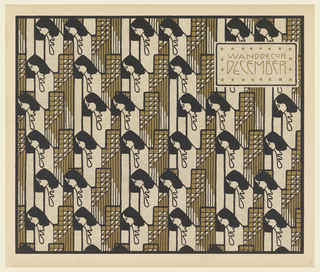 Architect Peter Behrens, who showed his interest early on in the Gesamtkunstwerk idea of a total look through design, developed lines of furniture, glassware and ceramics for the Wertheim Department store. 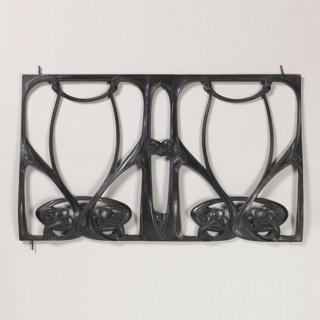 He was also interested in the juxtaposition of different materials in a single object, such as the combination of pewter and wood in this tray. 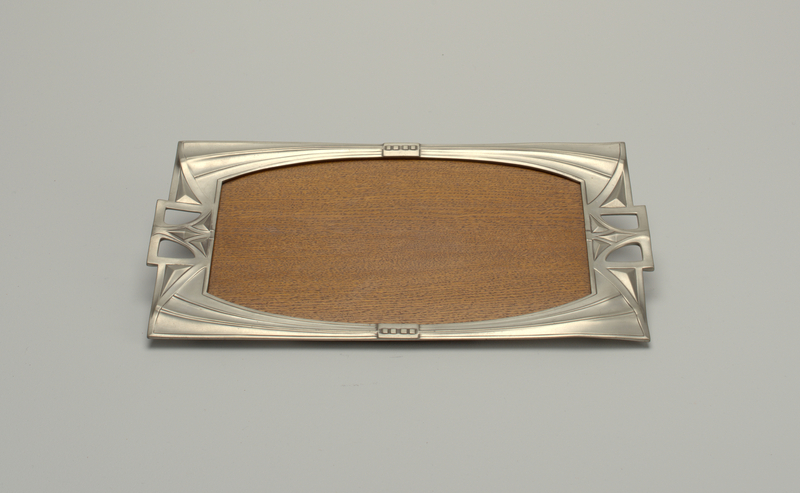 This tray's materials and decoration demonstrate the crafts tradition blended with Jugenstil ("Youth Style") elements.